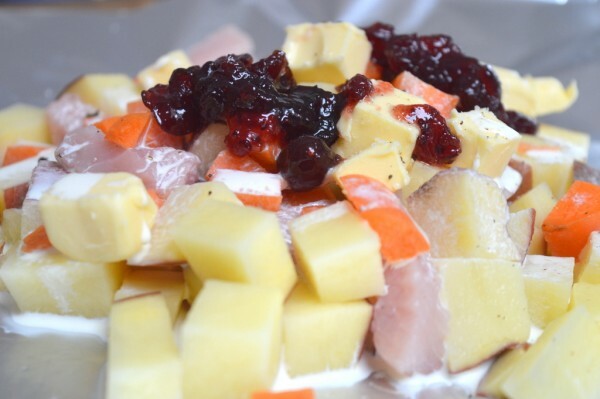 This recipe is a delightful summer twist on the traditional Christmas roast dinner. 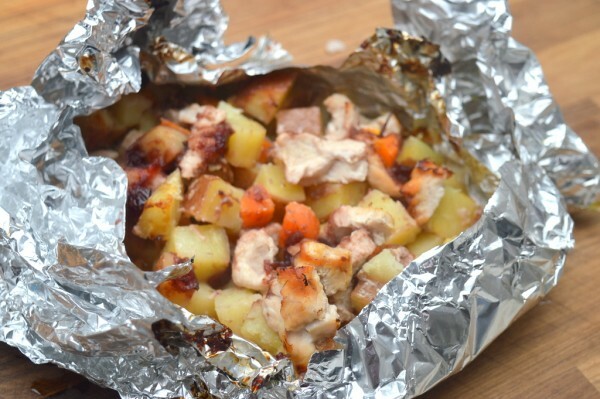 Just throw it on the BBQ for an all-in-one meal – perfect for get-togethers or camping alike. Not barbecue weather? No problem – just pop the parcels in the oven instead. In the meantime, join in with some more summery Christmas fun with this Christmas in August special. 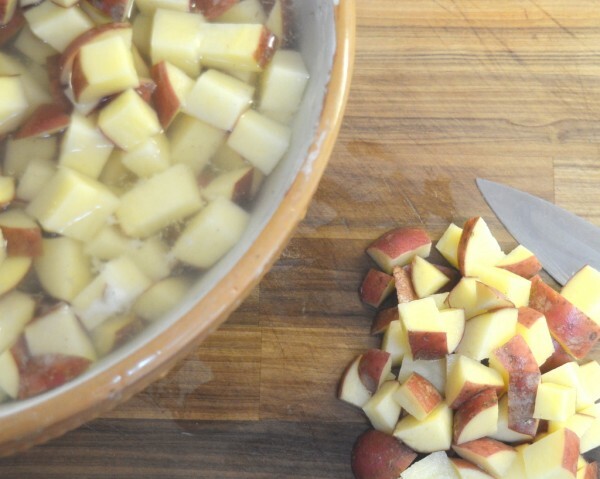 Wash potatoes and dice into approximately 2cm cubes. There is no need to peel them. Keep them in a bowl of cold water while you prepare the turkey and carrots. 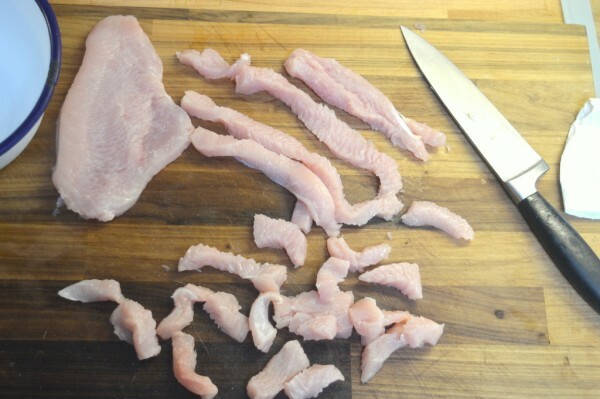 Cut turkey steaks into strips approximately 1cm wide, then into lengths no more than 3cm long. 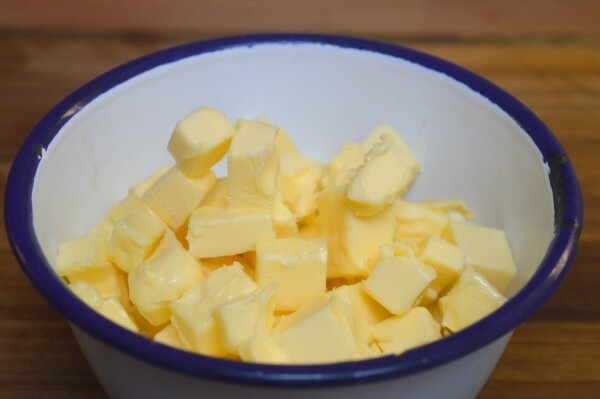 Dice butter into centimetre square cubes. Wash and dice carrots. 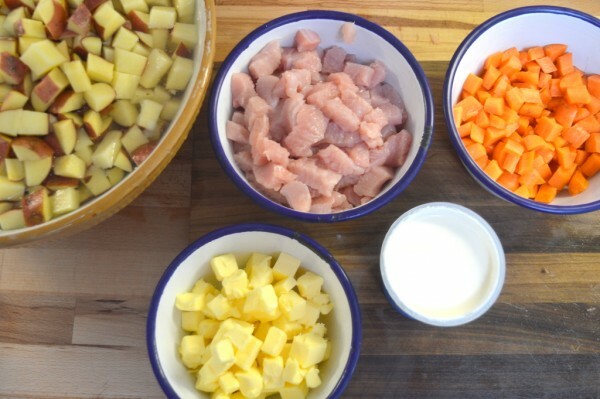 Keep all your prepared ingredients close to hand ready for the next step. Drain the potatoes. 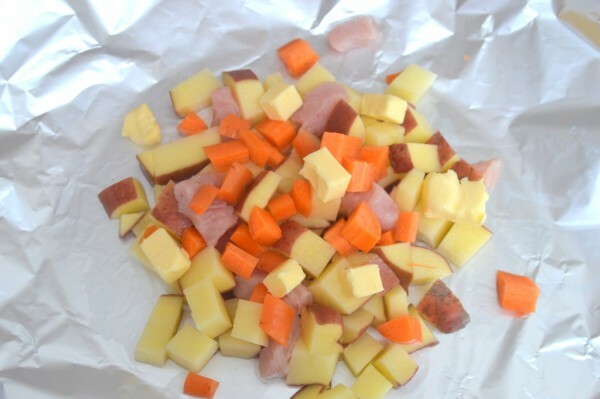 Take a large sheet of foil and place a couple of handfuls of diced potatoes along with some turkey and carrots into the centre. Drizzle 2-3 tablespoons of double cream and place several cubes of butter over the top. Add 1-2 heaped tablespoons of cranberry sauce to the top. Season all over with salt and pepper. 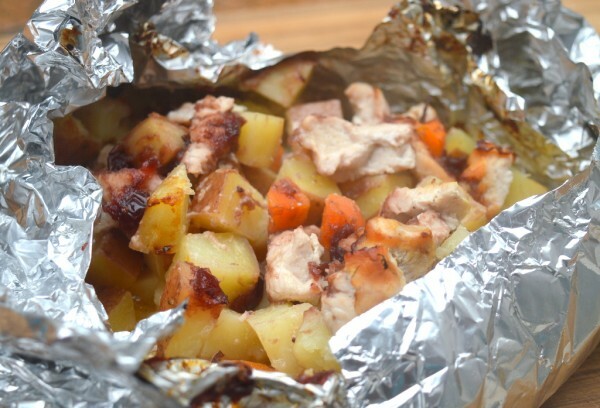 Fold up the sides of the foil. Bring up the sides that are lengthways first and try to get them to meet in the middle on either side. 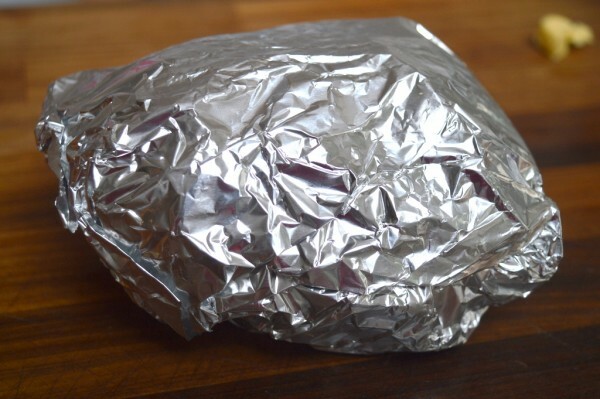 Then fold up the shorter sides bringing them up into the centre, creating a foil package around the ingredients. Place on the BBQ or in the oven at 180°C/350°F/Gas Mark 4 for approximately 35-45 minutes or until potatoes are cooked through. 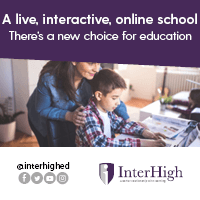 Click over here for more delicious recipes.